I’ve been getting used to using an eyebrow pencil lately and have been really liking the strong brow look. I usually use an eyebrow powder but at times I feel that it can’t do super sharp lines and it’s pigmentation is obviously lacking too. It’s good as a natural brow but for something with a little kick, I’ve been using a pencil. 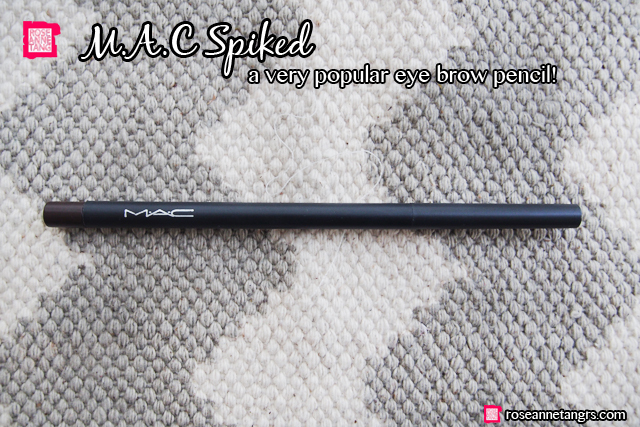 Probably the most popular eyebrow pencil is a particular one from M.A.C called Spiked. 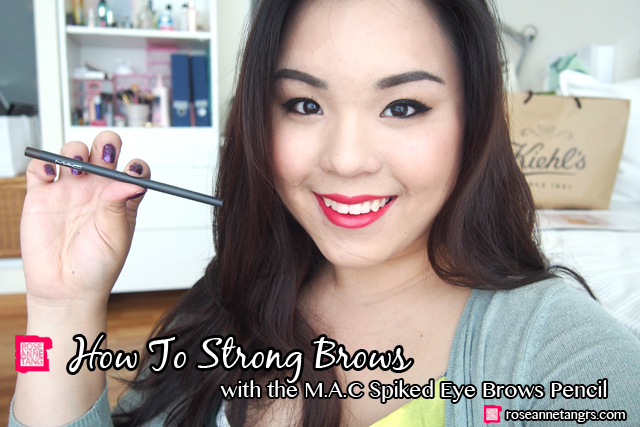 I’ll be doing a little tutorial on how easy strong brows can be! First of all, the M.A.C Spiked Eye Brows Pencil is pretty amazing. 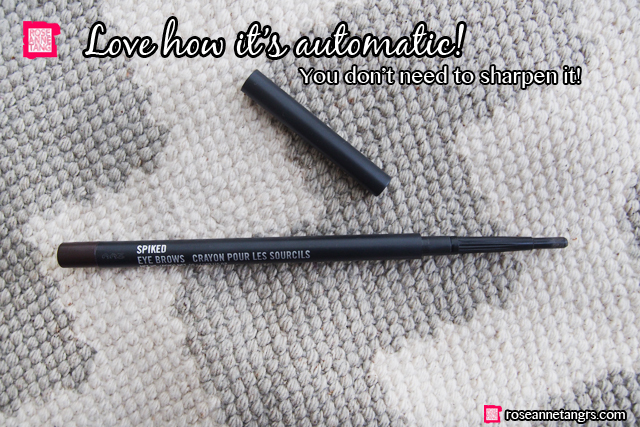 It comes as a thin pencil that is thankfully automatic so you don’t have to sharpen it. It also has quite a narrow tip so that drawing specific lines is quite convenient. Spiked is a chocolate brown that is quite dark and more suitable for very dark brown to black hair tones. Although it’s really whatever floats your boat. A general rule of thumb is that your brows should be no more than 1 or 2 shades lighter than your hair color. 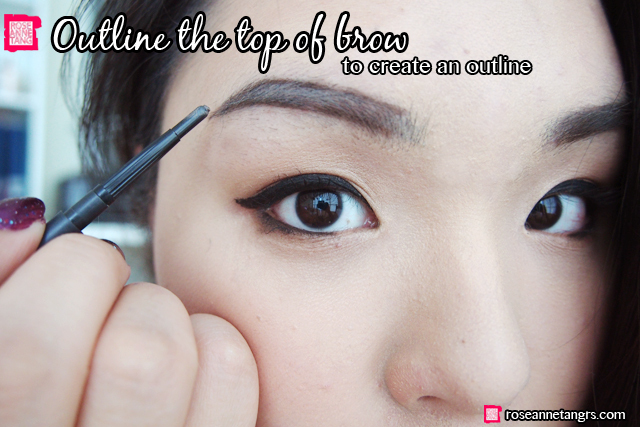 First start by outlining your brow. Of course this is for a strong brow look. 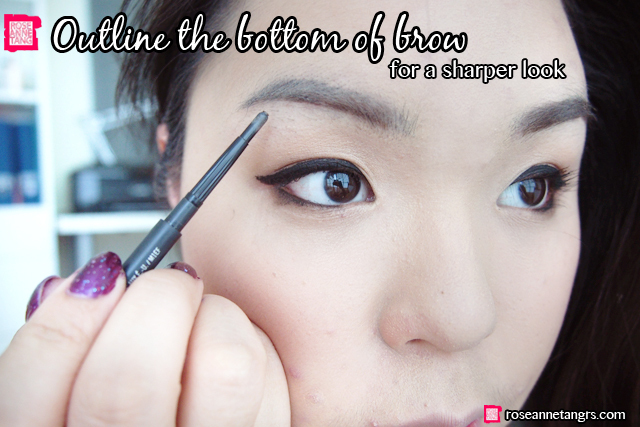 For a more natural brow, just shade in the brow in short strokes. I’m first outlining the bottom by drawing right where your hair roots are and in one fluid motion – connecting it to the end tip of the brow. Be careful not to start from the very beginning because we are going to color that part by brushing it through with a small spoolee (or mascara looking comb). Then we are going to outline the top and connect it to the bottom at the end. It’s like your brow has a mini frame. This ensures that you get a nice and sharp eyebrow. 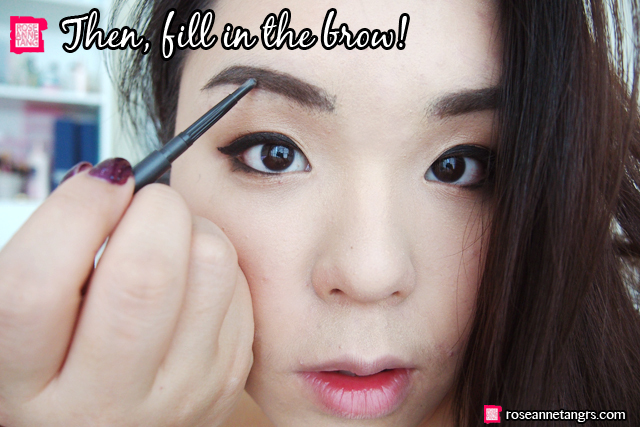 Then, in short and small strokes, fill in your brows and any gaps that you might have. Don’t go too close to the edge. Once you’re done, use a clean spoolee and brush through – this should naturally color the front. Unless you have very large eyes and features, you should practice my method and only leave the front part till the end. This will help make your brows naturally strong and not look like you just came out of clown city. After that, you’re finished! You can also use a wax or some brow gel to neaten the whole thing up. Overall, I really like M.A.C Spiked. 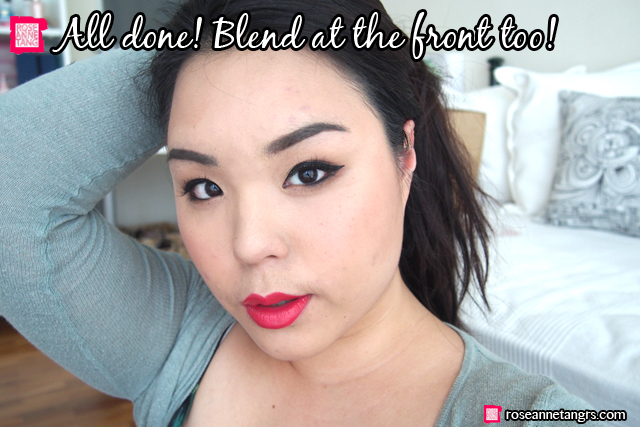 It’s super easy to use and the pigment is perfect. I feel I can also get a nice line and it’s not too dry as well. Hope you liked this post and let me know if you have any requests! Follow me on instagram @roseannetangrs! Classic Christmas Make-Up Tutorial in Collaboration with Say from Saytiocoartillero!